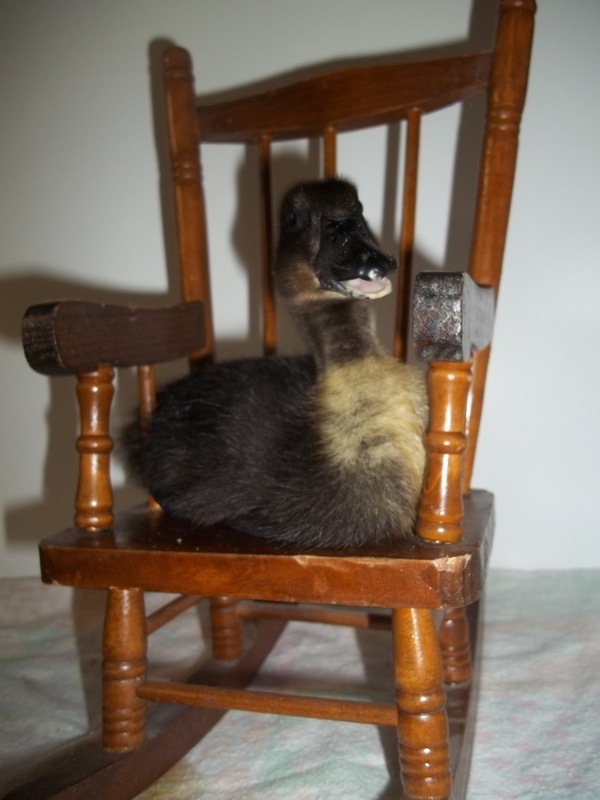 Holderread Order has been placed. 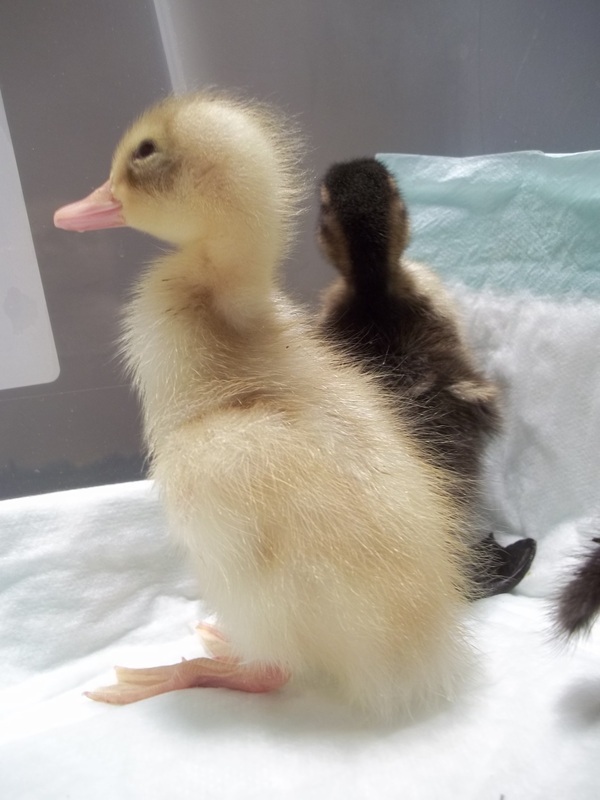 Hopefully we will be getting them on May 15, 2013 which means their hatch and ship date will be on May 13, 2013. 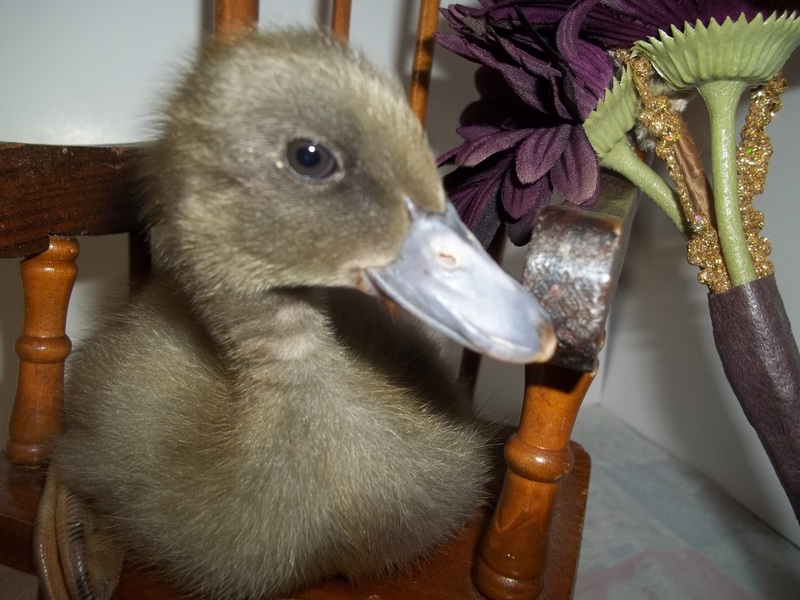 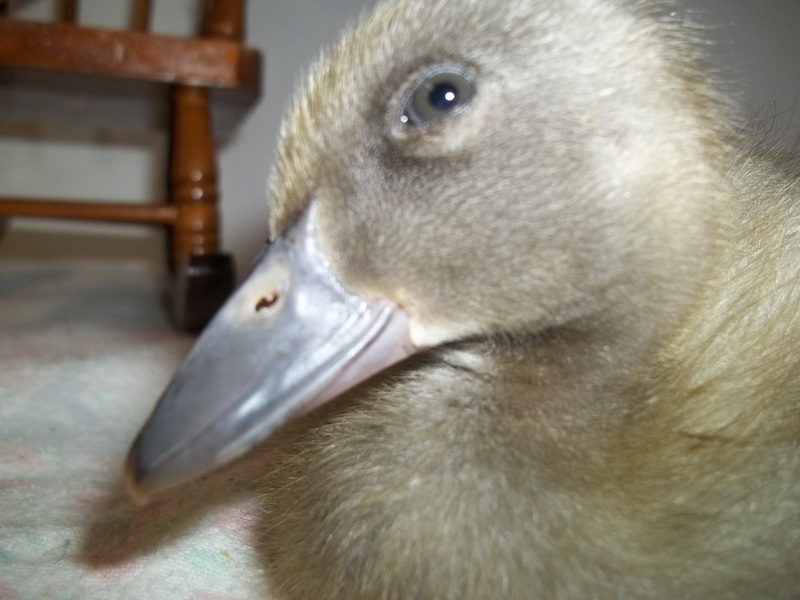 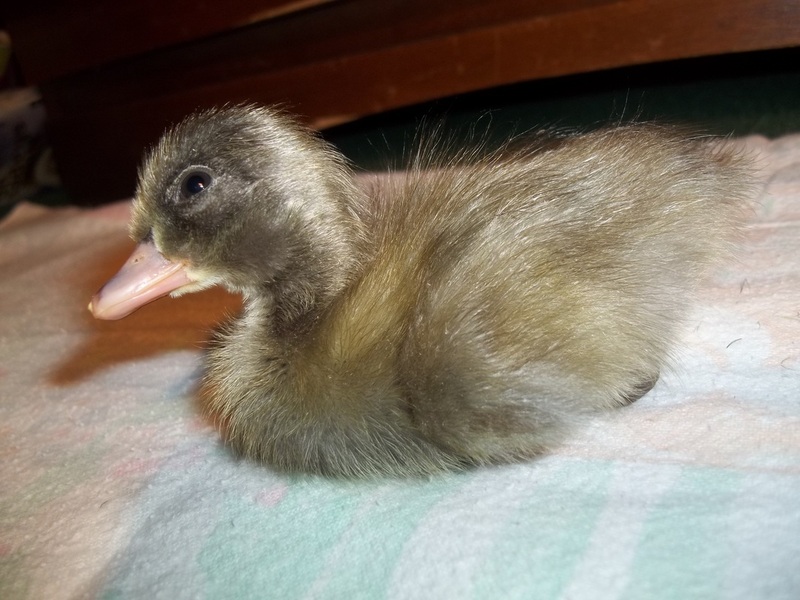 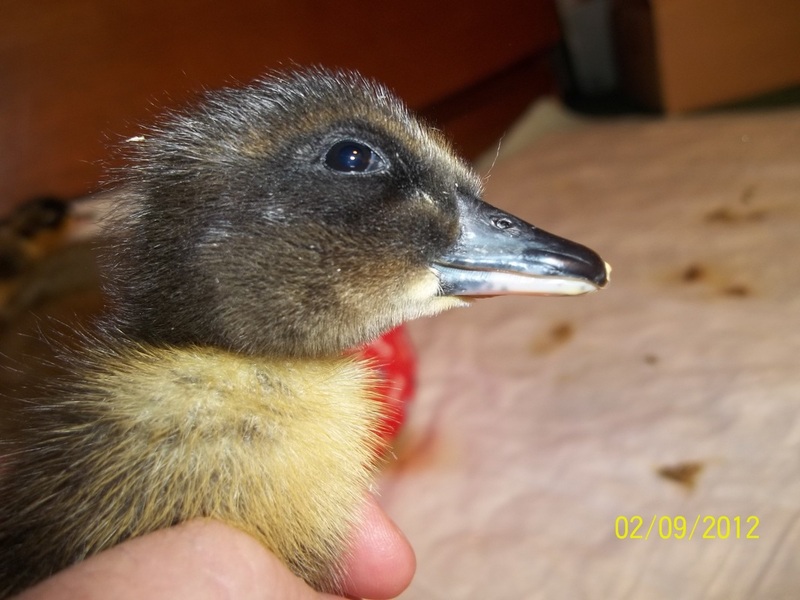 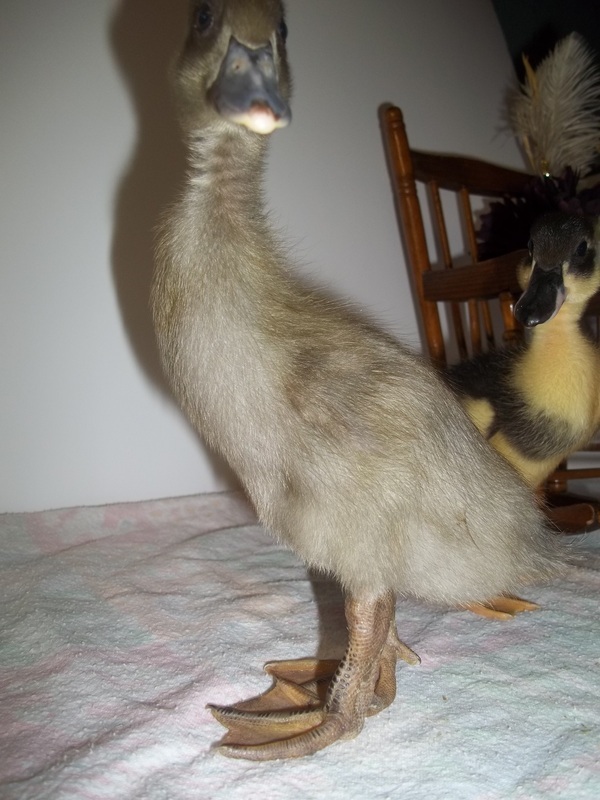 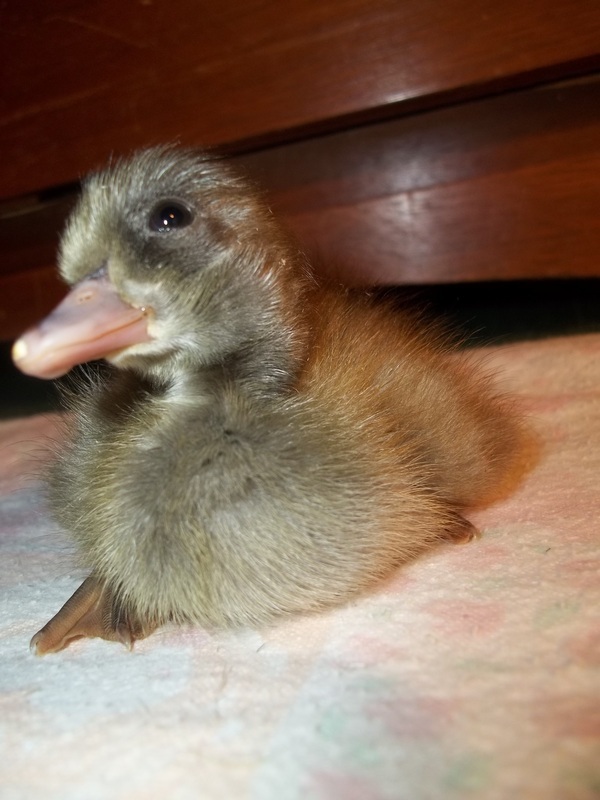 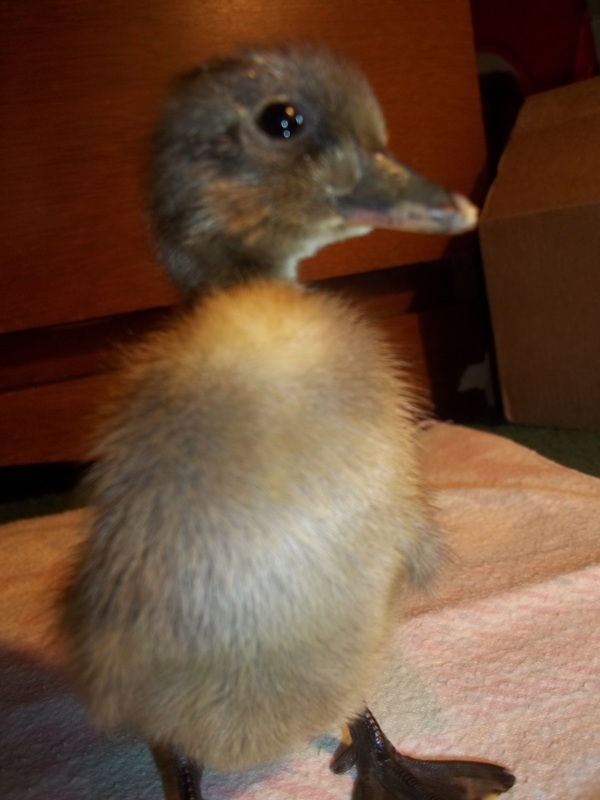 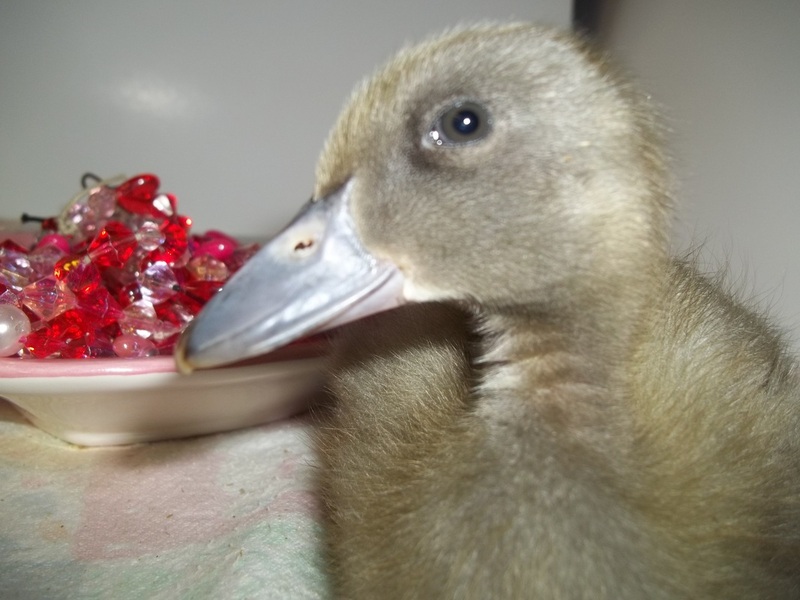 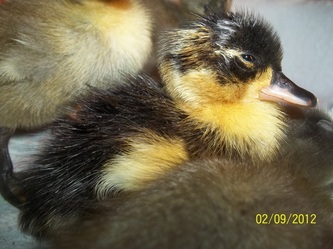 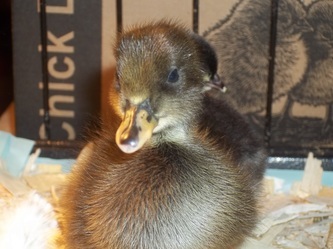 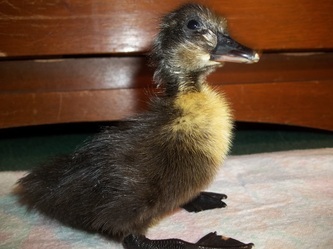 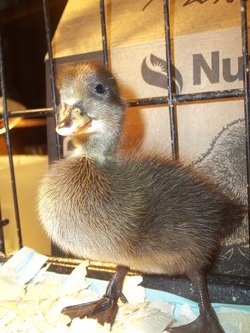 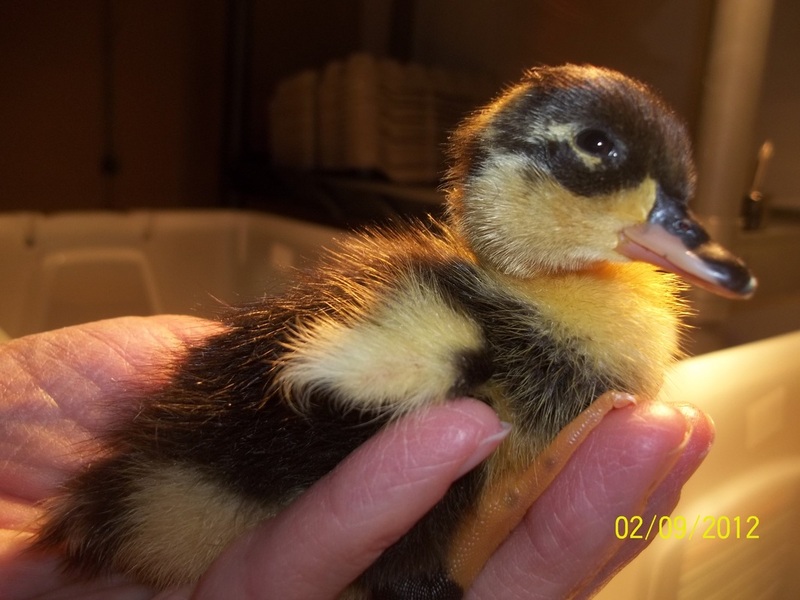 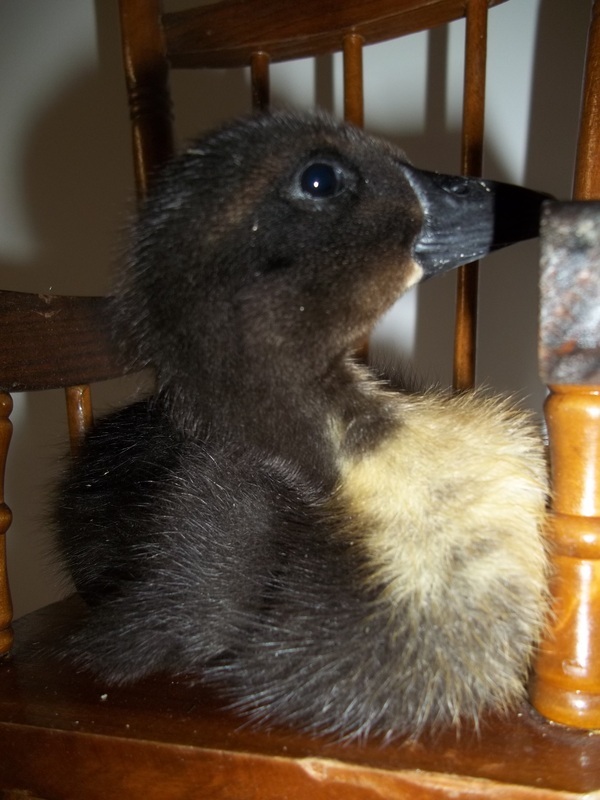 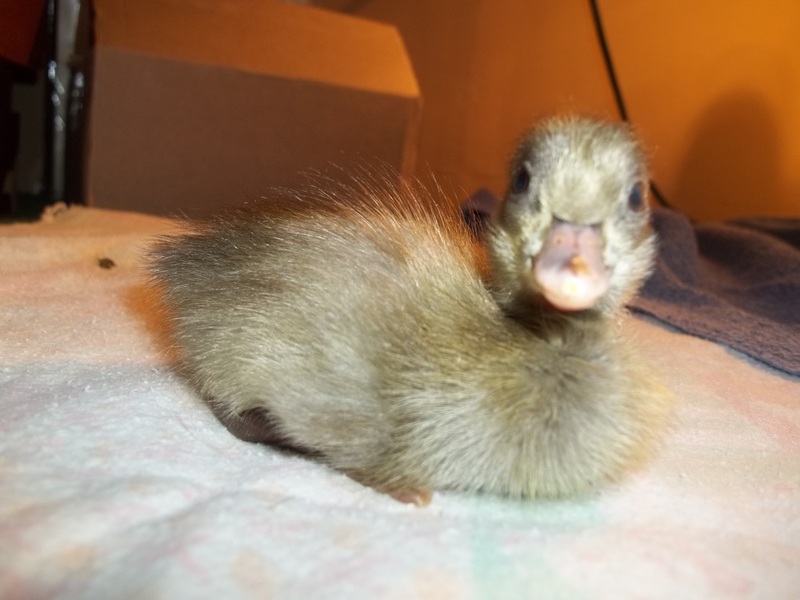 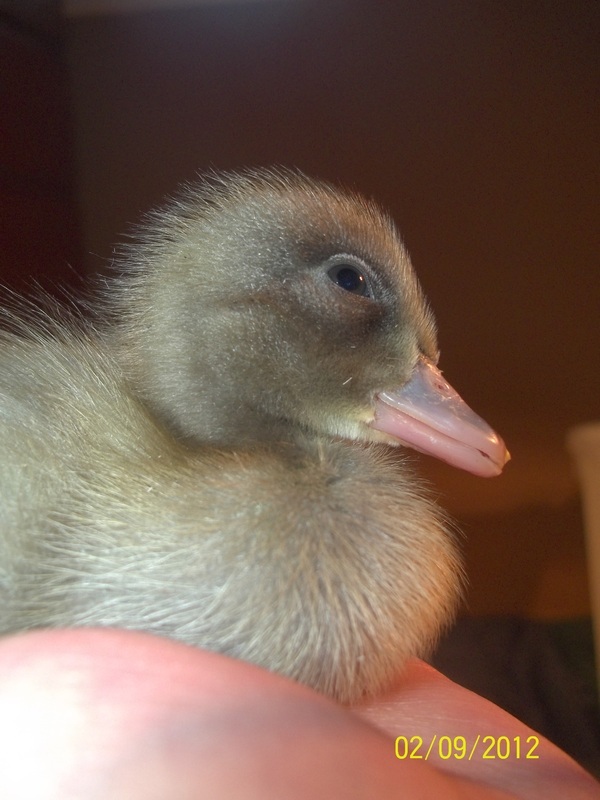 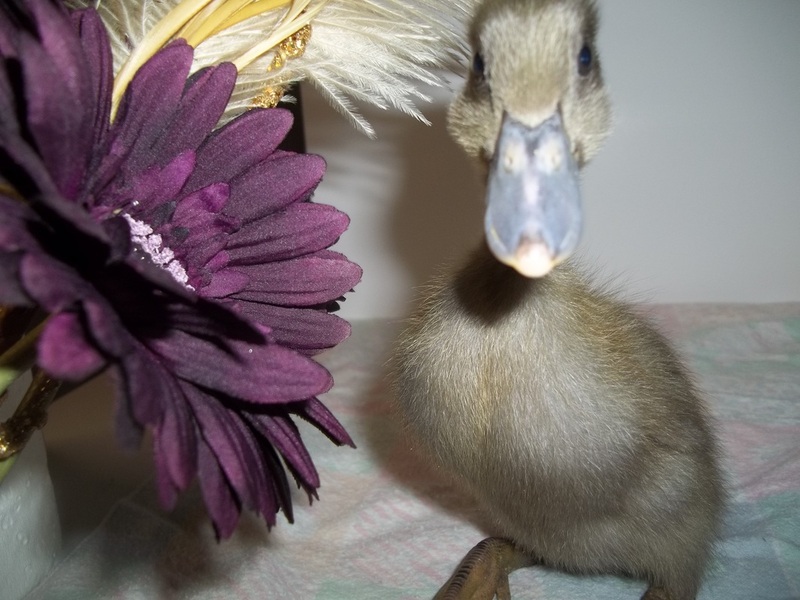 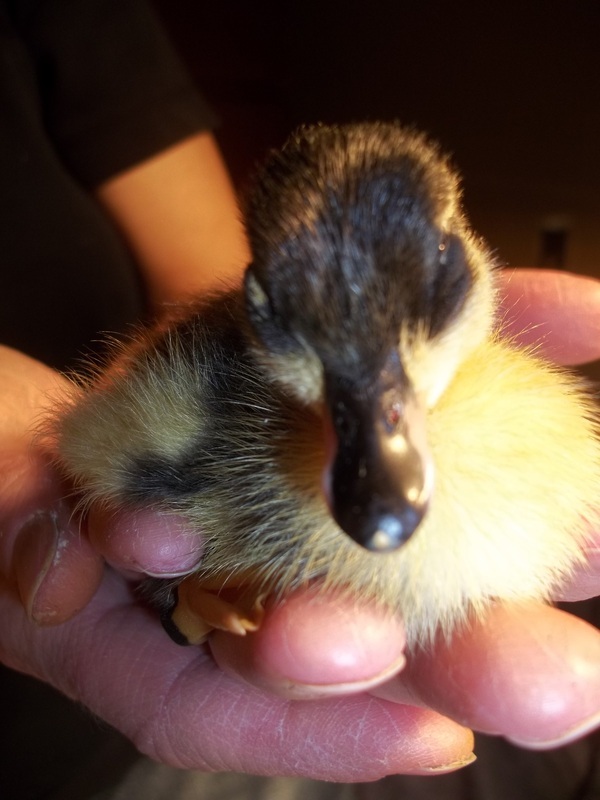 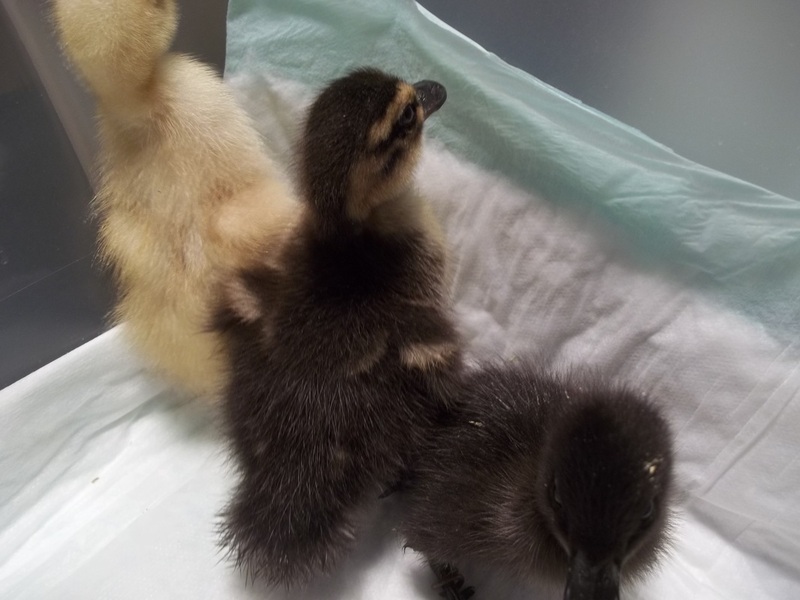 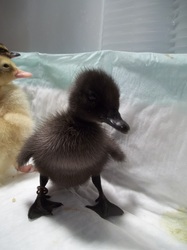 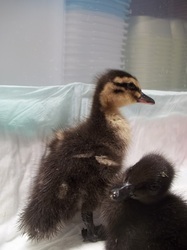 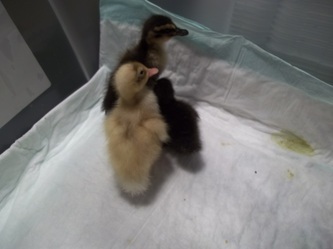 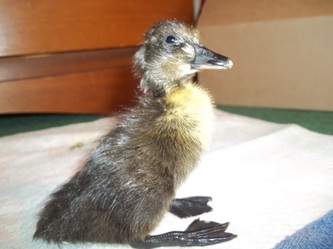 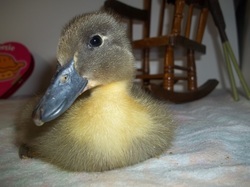 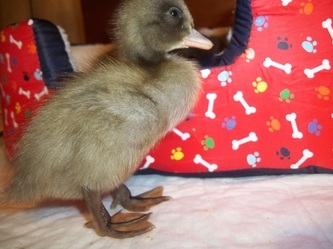 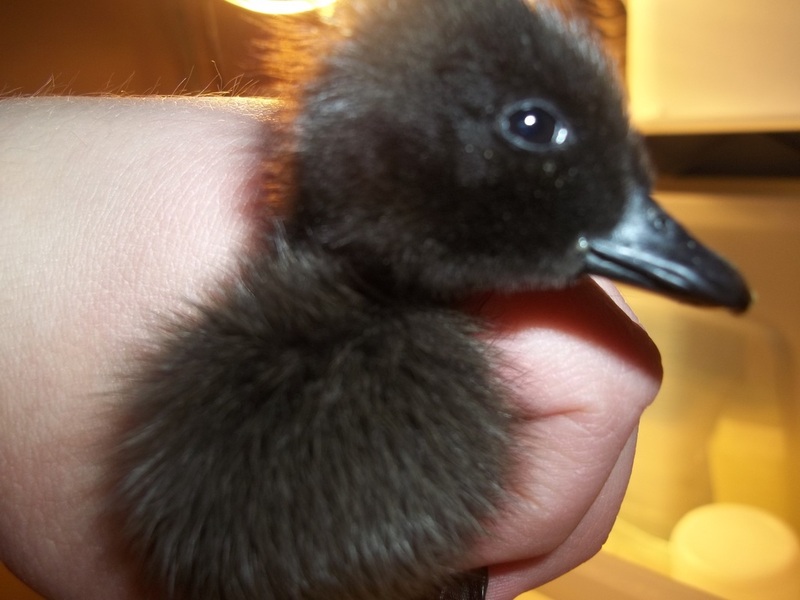 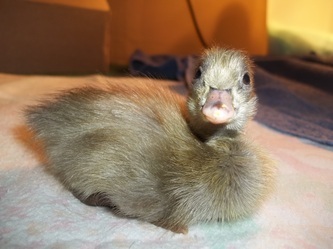 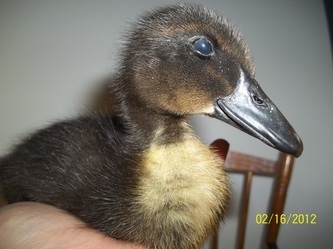 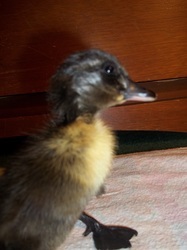 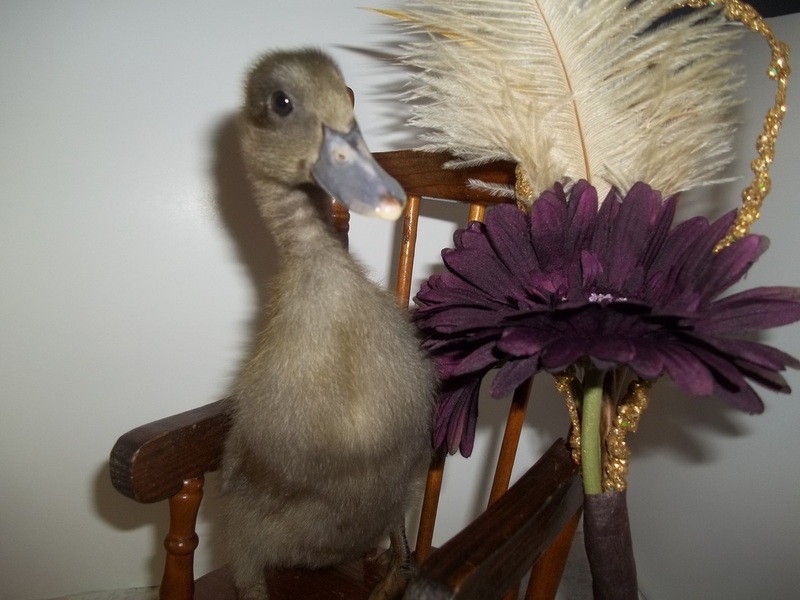 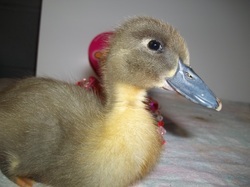 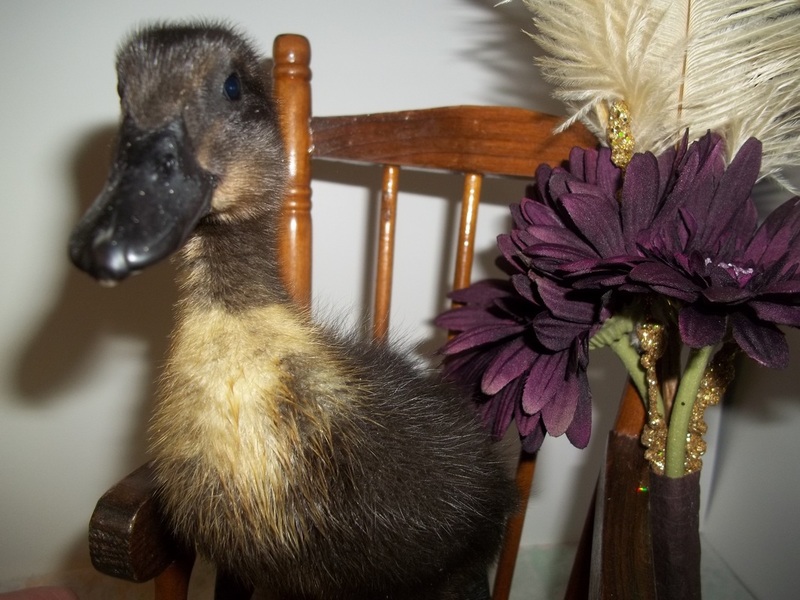 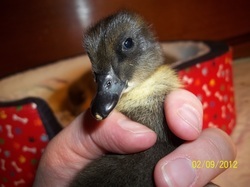 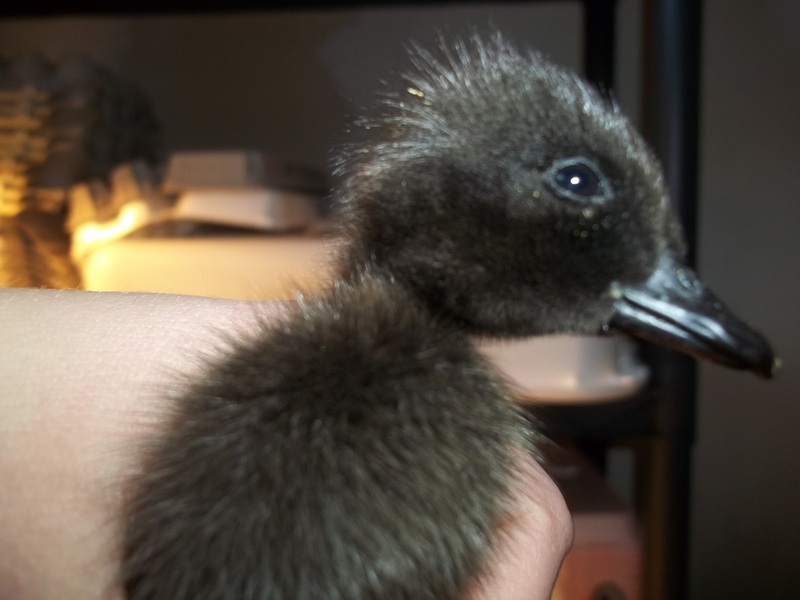 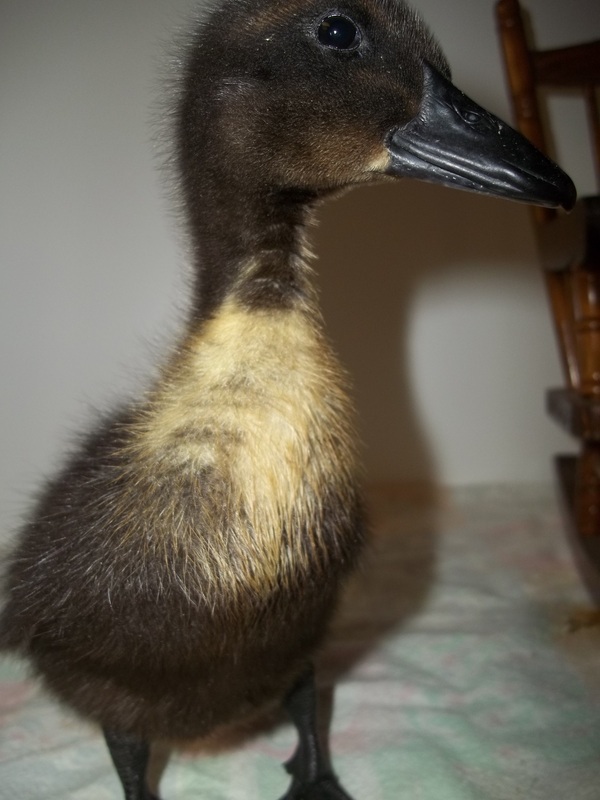 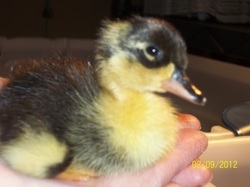 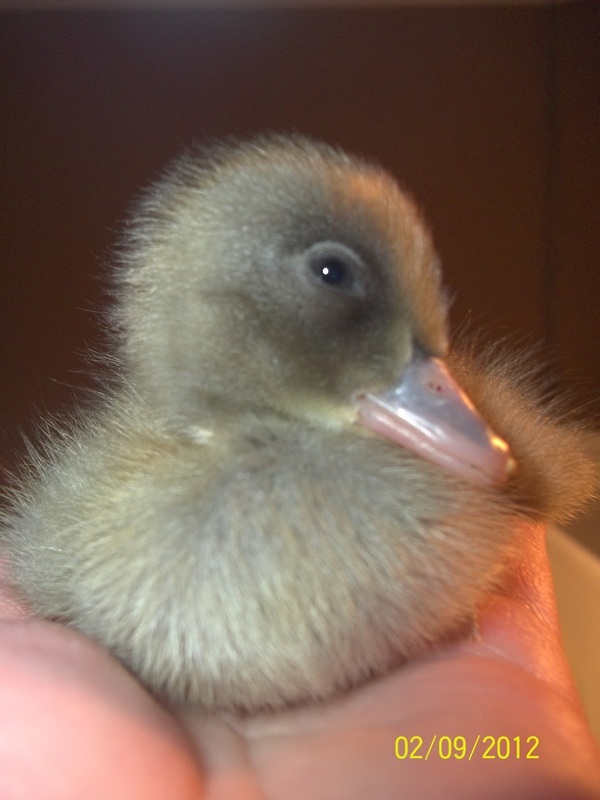 4 Rare Duckling Assortment-- will be any four out of Miniature Appleyard, Australian Spotted, Silkie, Dutch Hook Bill, Saxony, Silver Appleyard, Welsh Harlequin, and rare colors of Runners. 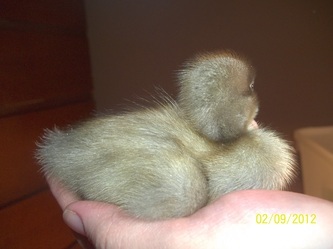 WEIGHT AT 4 DAYS OLD: 2 OZ. 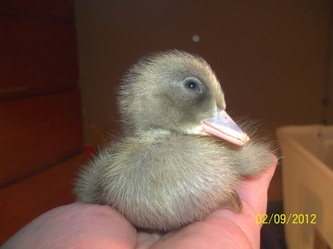 WEIGHT AT 4 DAYS OLD: 1.4 OZ. 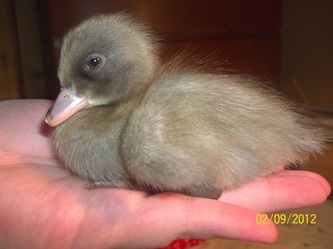 WEIGHT AT 4 DAYS OLD: 2.2 OZ. 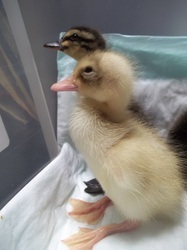 THESE DUCKLINGS ARE ALMOST READY TO GO OUTSIDE. THEY ARE ALMOST COMPLETELY FEATHERED. 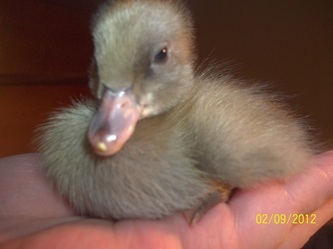 5 WEEKS OLD THE WEEK OF MARCH 11TH. All my Ducklings are alert and active. 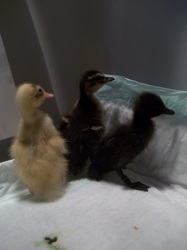 All are doing well. 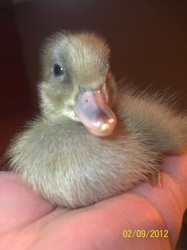 Hatched on the side, help out. Not even a day old here. 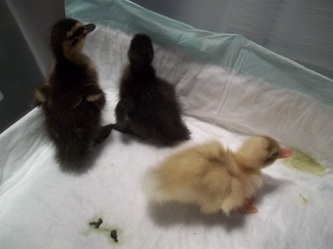 Egg #'s 2, 6, 9, 10, and 11 didn't make it. But 7 out of 12 eggs did. 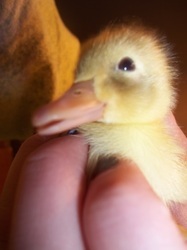 That's really amazing. 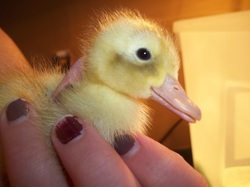 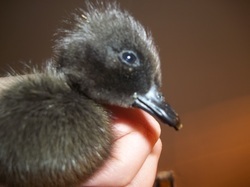 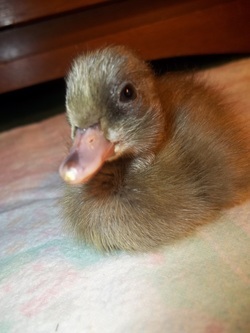 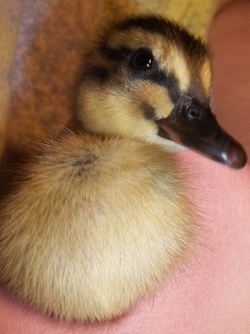 All hatched Ducklings are doing well and are as cute as can be. More photos will be added very soon. Two to four days before my Ducklings arrive (If they are coming from a hatchery) I get their brooder and supplies ready. 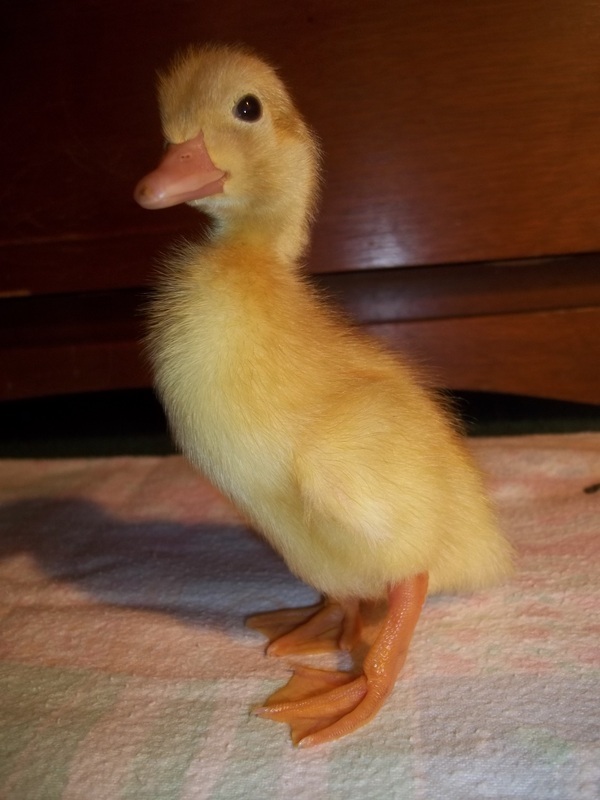 This is a very exciting time for me. 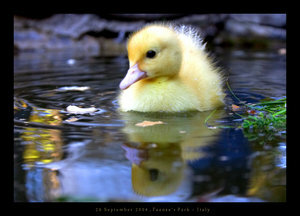 It is a time that I enjoy tremendously. 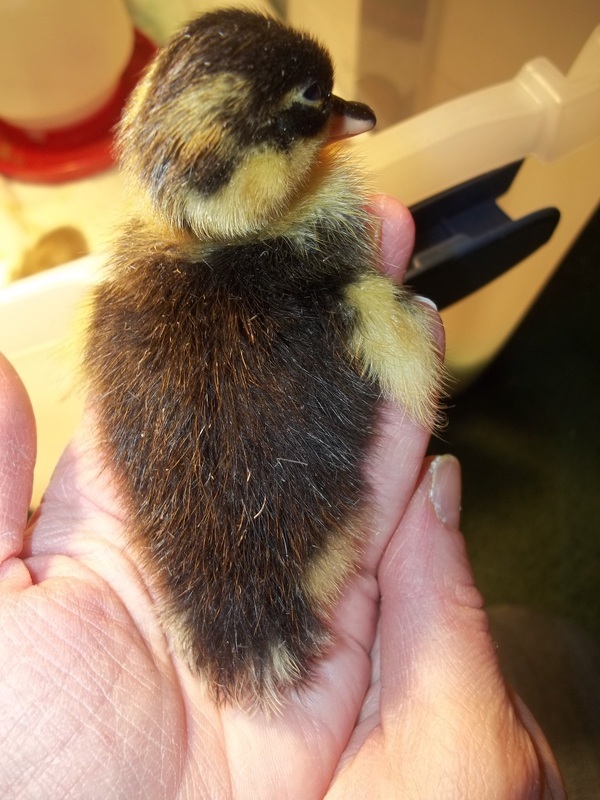 It is just like bringing home a brand new baby (for me). 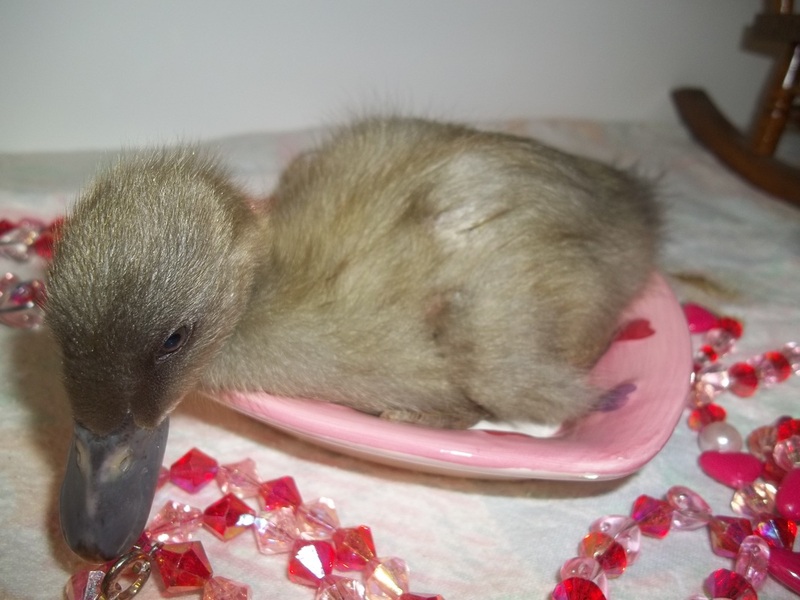 I will list the things that I always make sure that I have prior to bringing home my babies. When you bring your Ducklings home from the post office or from where ever you get them you need to make sure you have already set up your brooding area. 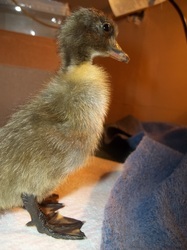 The heat lamp should be on and should have fully heated your brooder pryer to placing your baby birds in it. Your heat lamp should be at the opposite end of where the food and water is. 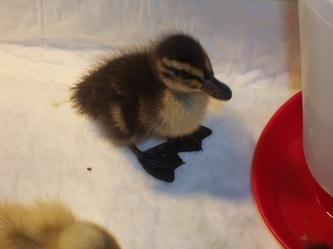 Make sure that whatever you use for water that the Ducklings cannot get into it and drown, and/or chill. Both can kill or harm them. 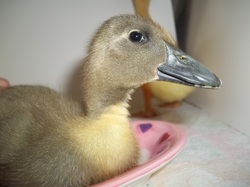 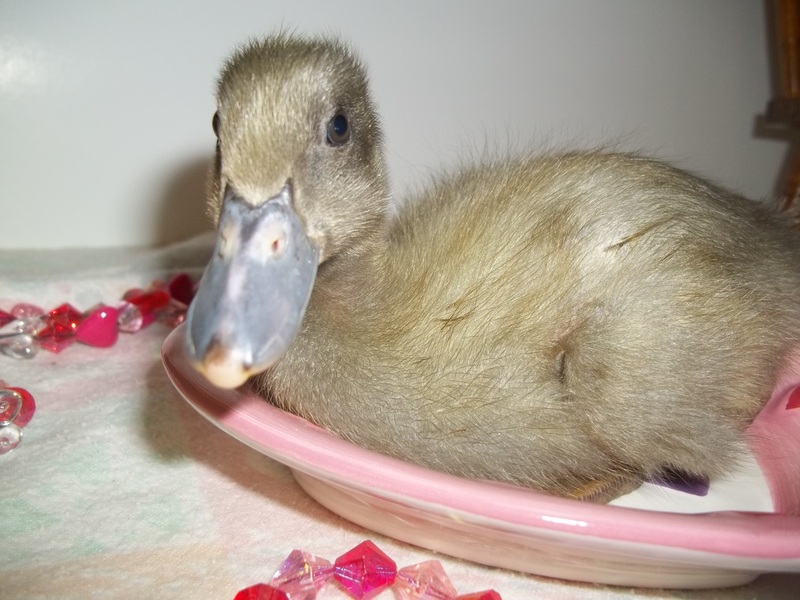 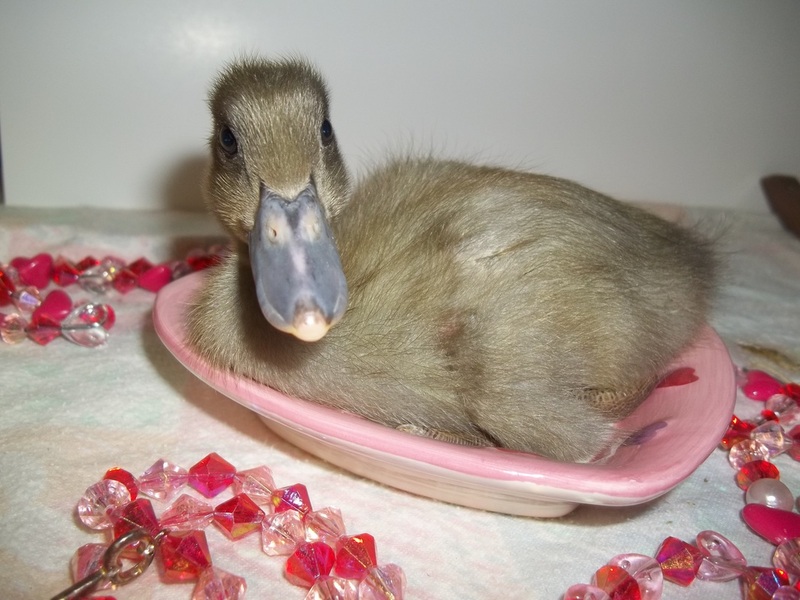 Before you place your Ducklings into your brooder you should dip their beaks in luke warm water, and let them get a drink. This will help get some nutrients into their systems. 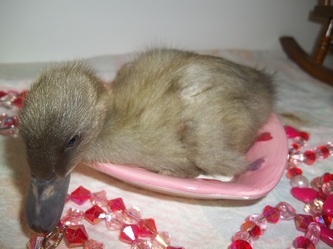 It is very important that Ducklings don't get dehydrated. 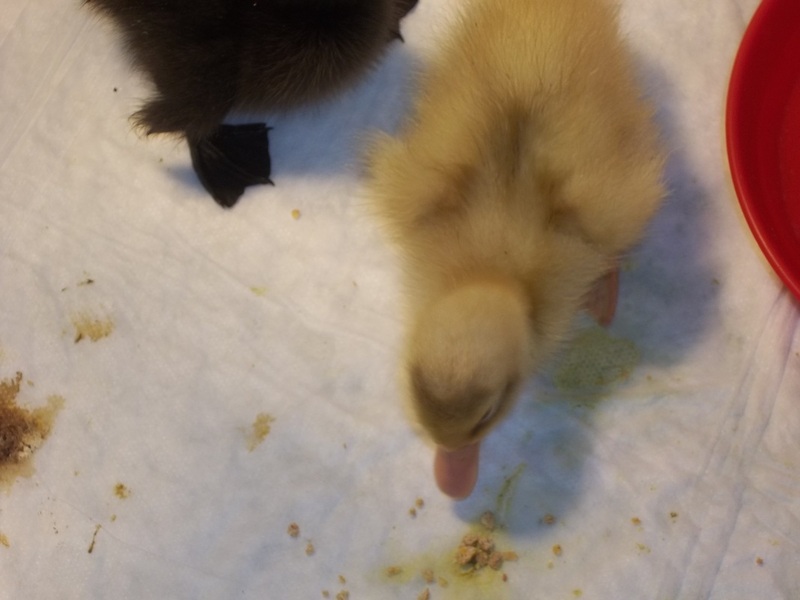 Allow them to be fully hydrated before letting them eat. 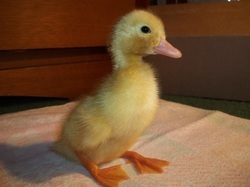 This is very important especially for Chicks. The first day you bring your Ducklings home you shouldn't handle them more than necessary. 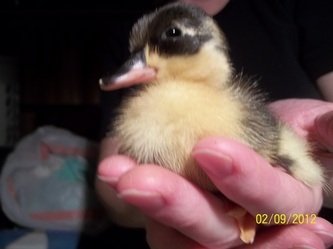 You also need to check on them frequently the first day or two. 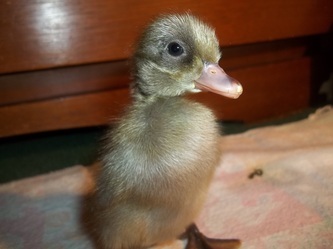 Duckings are precious beings, and they are so much fun to watch. 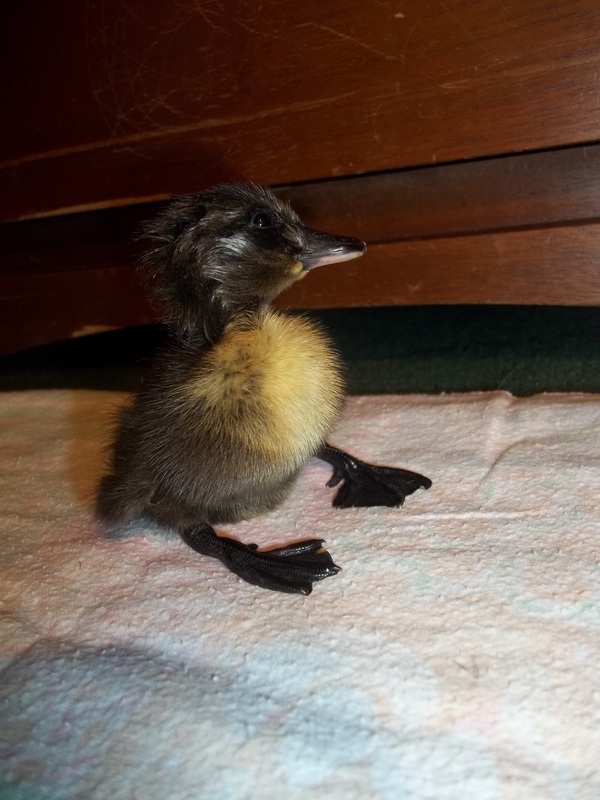 You should change their bedding at least once a day but this is depending on how many Ducklings you have in one brooder. You must change their water at least twice a day. For day olds I change their water once in the morning, once in the middle of the day, and once at night. 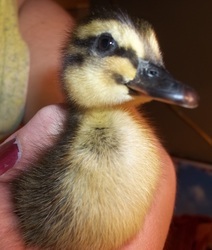 Ducklings can take a teaspoon of water and get their whole pen wet it seems.